*Click here to Download Instructions to authors in PDF format. Earth Science India is an International Open & Free Access quarterly e-Journal publishing peer-reviewed primary research/review papers from all the domains: geophysics, geology, atmospheric science, oceanography, soil and environmental science in English language. It also publishes popular articles, gallery of photos of geo-scientific interests, News items also containing organization of earth science events, seminars, conferences etc. across the globe as our outreach efforts. ESI was launched for rapid exchange of researches and ideas between the widespread community of earth scientists and also to promote awareness about 'science of Earth'among students and common public. 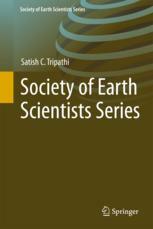 It is under the umbrella of 'The Society of Earth Scientists' (SES). ESI has a system of online submission of Technical papers. Please register as new user or if already registered, login and submit your paper follow the instructions. The cover letter should include the corresponding author's full address and telephone/fax numbers and should be in an e-mail message sent to the Editor, with the file, whose name should begin with the first author's surname, as an attachment. The authors may also suggest two to four reviewers for the manuscript (Editor / SES may designate other reviewers). All portions of the manuscript must be typed double-spaced (preferably in Times New Roman font) and all pages numbered starting from the title page. The Title should be a brief phrase describing the contents of the paper (Ariel 16 font). The Title Page should include the authors' full names and affiliations (Arial 12 font), and E-mail information (Arial 10 font). The general text should be given Arial 10 font. Following the abstract, about 4 to 10 key words that will provide indexing references to should be listed. A list of non-standard Abbreviations should be added. In general, non-standard abbreviations should be used only when the full term is very long and used often. Each abbreviation should be spelled out and introduced in parentheses the first time it is used in the text. Only recommended SI units should be used. In the main body of the paper the headings and sub-headings should be arranged in proper order- main headings (Times New Roman- font 14 in running in the center and subheadings in the left side with 12-font size in running text). Figures/tables should be inserted at the appropriate place. Tables should be prepared in Microsoft Word (e.g. Table-1:). Tables should be kept to a minimum and be designed to be as simple as possible. Tables are to be typed single-spaced throughout, including headings and footnotes. Each table should be on a separate page, numbered consecutively in Arabic numerals and supplied with a heading and a legend. Tables should be self-explanatory without reference to the text. The same data should not be presented in both table and graph form or repeated in the text. Graphics should be prepared using applications capable of generating high resolution BMP/ JPEG images. The figures should be prepared keeping in view the size so as text on the figures should appear sharp and readable. Coloured figures should be minimized as far as possible. Line diagrams/maps should be computer generated or cartographically prepared. If scanned, it should be clean and clear. Figure legends should be typed in numerical order on a separate sheet. Use Arabic numerals to designate figures and upper case letters for their parts (Fig. 1:). Begin each legend with a title and include sufficient description so that the figure is understandable without reading the text of the manuscript. Information given in legends should not be repeated in the text. In the text, a reference identified by means of an author‘s name should be followed by the date of the reference in parentheses. When there are more than two authors, only the first author‘s name should be mentioned, followed by ’et al.‘. In the event that an author cited has had two or more works published during the same year, the reference, both in the text and in the reference list, should be identified by a lower case letter like ’a‘ and ’b‘ after the date to distinguish the works. For example: (Sønneland,1997; Landrø and Stammeijer,2004; Jenkins et al., 1997; Lumley, 1995a, b). References should be listed at the end of the paper in alphabetical order. Authors are fully responsible for the accuracy of the references. Lumley, D.E. (2001) Time lapse seismic reservoir monitoring. Geophysics, v. 66, pp.50-53. Chamoli, A. and Dimri, V.P. (2007) Evidence of Continental Crust over Laxmi Basin (Arabian Sea) using Wavelet Analysis. Indian J. Marine Sci., v. 36(2), pp.117-121. Gansser, A. (1964) Geology of the Himalayas, John Wiley, London. 289 p.
Wolff, T., Grieger, B., Hale, W., Durkoop, A., Mulitza, S., Patzold, J. and Wefer, G. (1999) On reconstruction of Paleosalinities. In: G. Fischer and G. Wefer (eds.) Use of proxies in Paleoceanography: Examples from the south Atlantic. Springer-Verlag, Berlin, pp. 601-633. Earth Science India also publish popular articles for those who are interested in planet Earth. Articles on any topic of earth sciences written for the common people are invited.